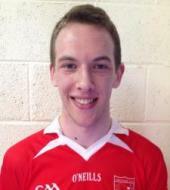 Goalkeeper, turned full forward, Joseph Creedon is a part-time student & full-time legend. He made his Championship debut in the 2012 quarter-final win over Macroom. Joseph's favourite food is Apache Pizza with ham, cajun chicken & olives. His favourite TV show is Breaking Bad while his favourite pastime is playing games of 'one-touch wonder' with Peahead(Cathal Vaughan). Joseph also has an interest in darts and likes getting stuck in Junior B Hurling too. He considers his greatest sporting achievement to be part of Creedon's Hotel tug-of-war team which won the tug-of-war two years in a row at Inchigeela Festival. 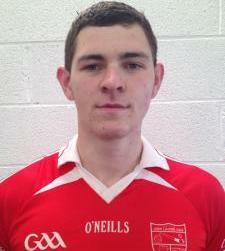 His best club memories are playing in A, B and C Under 21 Mid-Cork Finals in three consecutive years. Joe considers Shane Galvin to be greatest player he has ever seen because he's a train of a man that fields ball over skyscrapers. If Joe could change one thing in GAA - it would be to bring in the mark rule for clean catching. When he was younger, he wanted to be older. Joe isn't sure who the person he'd most like to meet is but he would like to shift Mila Kunis, while he considers the best invention ever to be the mobile phone. Marooned on a desert island, Joseph could not be without television. You may not know this but Joe is secretly good at sending out magnificent Snapchats. Add him on Snapchat now: jcreedon.